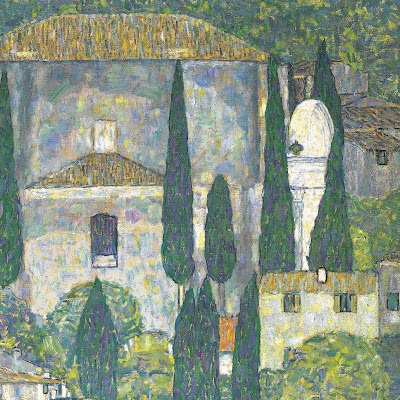 Executed in 1913, the magnificent 'Kirche in Cassone' is one of the finest examples of Gustav Klimt's landscape paintings. Combining the lush greenery with the houses sloping down towards the surface of the lake, it unites the natural and architectural elements into a harmonious composition, their interlocking forms creating a dynamic, shimmering surface. 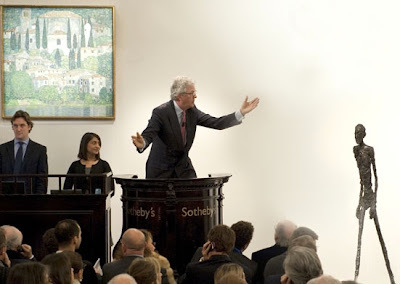 The artist's innovative technique is coupled with his passion for patterns and decoration, as well as with his fascination with his beautiful surroundings, making this a true masterpiece of Gustav Klimt's art. 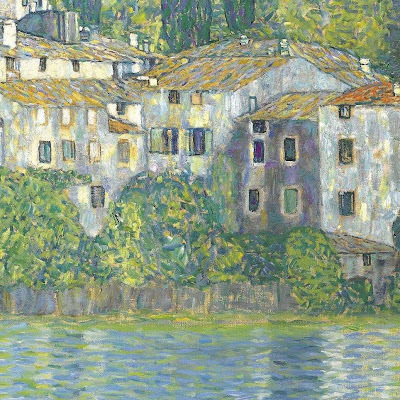 Depicting the village of Cassone on Lake Garda in Italy, this landscape was painted during Gustav Klimt's visit to the region in 1913. Gustav Klimt stayed on Lake Garda with Emilie Flöge and her family from the end of July until mid-September, and executed three oil paintings during this time. They took a lodging on the little peninsula near the town of Malcesine, from which the artist painted this view of Cassone, situated several kilometers to the south. 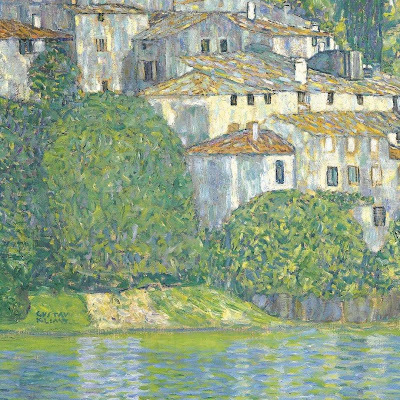 They also took boat trips to Porto di Tremosine, on the opposite shore, from which Klimt painted a view of Malcesine and 'Italienische Gartenlandschaft' now in the collection of Kunsthaus, Zug. 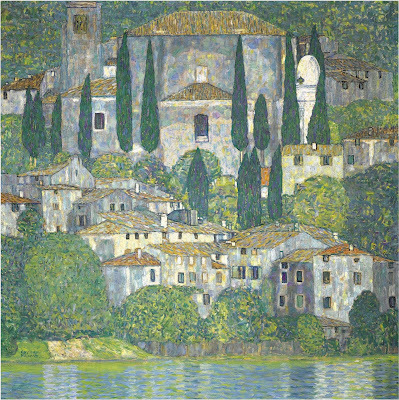 As 'Malcesine am Gardasee' has been destroyed, 'Kirche in Cassone' is the only remaining painting by Gustav Klimt depicting Lake Garda and its architecture. In adopting the square format for his canvases, and almost abandoning the horizon line, Klimt challenged the traditional notion of landscape painting with a foreground and a background. Instead, he transformed the canvas into a decorative plane, building a mosaic-like composition out of small brushstrokes of brilliant colour, giving the painting a jewel-like quality. The lack of sky and the continuousness of the pattern give the work an autonomous character, and despite the outdoor setting, the scene has a closed, self-contained feel. Gustav Klimt's great achievement was to create landscapes of an ethereal, meditative quality, with the aim of capturing the state of mind or evoking a mood, and allowing his works to attain the quality of an object of meditation as well as of a subjective view of nature.